The Niagara Escarpment Commission has requested comments from the Town of Mono on the Application for Development Permit to establish a "precision sharpening for specialized tooling" business within an existing 223 sq m (2,400 sq ft) accessory building to a dwelling on the above 2.2ha (5.44 acre) existing lot. Council will be considering this variance of the Zoning Bylaw on Tuesday, April 23, 2019. 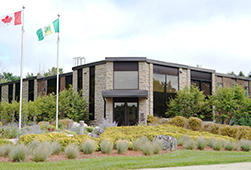 Should you wish to provide written comments to Council prior to their decision, please provide same to Fred Simpson, Town of Mono, 347209 Mono Centre Road, MONO ON L9W 653 or by email to fred.simpson@townofmono.com by 4:30 p.m. on Tuesday, April 16, 2019.